Northanger Abbey is the first novel that Jane Austen completed (in about 1799), but it was not published until after her death, in 1818. It had been initially sold to a publisher in 1803, but the copyright was bought back by Jane Austen in 1816. 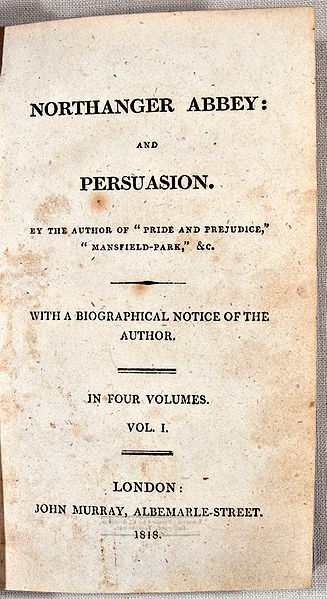 After her death in 1817, her brother arranged for Northanger Abbey and Persuasion to be published together, as a four-volume series. The story follows a young lady of seventeen, Miss Catherine Morland, who goes on a vacation in Bath with some friends, Mr and Mrs Allen. She is a rather naive girl, having never set foot out of her hometown of Fullerton, but has a pleasing manner and is good-natured and affectionate. She enjoys reading novels, and has a habit of viewing her life as if she were a heroine in a story. Her greatest deficiency was in the pencil – she had no notion of drawing – not enough even to attempt a sketch of her lover’s profile, that she might be detected in the design. There she fell miserably short of the true heroic height. At present she did not know her poverty, for she had no lover to portray. She is introduced to Mr Henry Tilney in the Pump Room in Bath, and after a few dances and some good conversation, she looks forward to meeting him again the next day. Catherine is disappointed when Mr Tilney does not reappear, but she meets Miss Isabella Thorpe and they strike up an immediate friendship. They discover they have a few things in common, as both have a love of gothic novels. They called each other by their Christian name, were always arm in arm when they walked, pinned up each other’s train for the dance, and were not to be divided in the set; and if a rainy morning prevented them of other enjoyments, they were still resolute in meeting in defiance of wet and dirt, and shut themselves up, to read novels together. Miss Isabella Thorpe and Miss Catherine Morland, in the movie adaptation (2007). Whilst they are walking together in Bath one day, they are met suddenly by Catherine’s brother, Mr James Morland, and Isabella’s brother, Mr John Thorpe, who have both become friends at college in Oxford and have just arrived in town. Miss Thorpe and Mr Morland develop an attachment, and suddenly Isabella is prepared to ditch her “dearest Catherine” when something more attractive is on offer. Catherine’s introduction to her friend’s brother, Mr Thorpe, begins a rather disagreeable acquaintance, as it is soon evident that he is conceited and officious, and bereft of any sort of gentlemanly gallantry. Mr Tilney returns to Bath with his sister, Miss Eleanor Tilney; his brother, Captain Tilney; and his father, General Tilney. 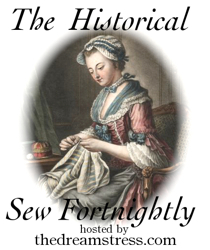 Catherine is introduced to Eleanor and, as their friendship develops, there are several situations where Catherine’s friendship with Miss Tilney is pitted against her friendship with Miss Thorpe. In a similar way, Catherine’s acquaintance with Mr Tilney is pitted against her acquaintance with Mr Thorpe. These unpleasantries enable Catherine to become more aware of how manipulative and conniving Isabella is, and how self-important and obtrusive John Thorpe is. But Isabella became only more and more urgent; calling on her in the most affectionate manner; addressing her by the most endearing names. She was sure her dearest, sweetest Catherine would not seriously refuse such a trifling request to a friend who loved her so dearly. She knew her beloved Catherine to have so feeling a heart, so sweet a temper, to be so easily persuaded by those she loved. But all in vain; Catherine felt herself so to be in the right, and though pained by such tender, such flattering supplication, could not allow it to influence her. Isabella then tried another method. She reproached her with having more affection for Miss Tilney, though she had known her so little a while, than for her best and oldest friends; with being grown cold and indifferent, in short, towards herself. Isabella tells Catherine of her engagement to James Morland, who is leaving town to apply to his father for the necessary permission. John Thorpe, encouraged by his sister’s engagement, suggests matrimony to Catherine rather incoherently, so much so that she does not even realise it is a proposal. Once Isabella finds out she will need to wait two years to be married and then will only have an income of four hundred pounds a year, she is disappointed, as she had thought (on the word of her brother) that the Morlands were rich. Captain Tilney, taking advantage of her dissatisfaction, begins to openly court her affections. Catherine is invited by General Tilney for a visit to their family home, Northanger Abbey, as company for his daughter. She is very excited by the prospect of staying in an Abbey, as she imagines it to have dark and gothic secrets from the past, just like the ones she has read about in novels. Through her stay at Northanger Abbey, Catherine gets her first realisations that real life is nothing like life in the novels she has read. There is no secrets concealed in the bureau drawers, or in the disused rooms of the Abbey. Her realisation is complete when she is caught sneaking into the apartments of deceased Mrs Tilney, in her quest of a sinister secret. Catherine, letting her imagination get carried away, had fancied that, since Miss Eleanor Tilney had been away from home when her mother had suddenly died, General Tilney must, therefore, have had a hand in her death. Her imagination suspects first a murder, and then a fabricated death with the victim hidden somewhere in a distant wing of the Abbey. Her shame is complete when Mr Henry Tilney discovers her exiting the apartments and quizzes her on it. It does not take him long, with his masterly powers of seeing her heart, to uncover her secret. The visions of romance were over. Catherine was completely awakened. Henry’s address, short as it had been, has more thoroughly opened her eyes to the extravagance of her late fancies than all their several disappointments had done. Most grievously was she humbled. Most bitterly did she cry. During her stay, she is sent a letter from her brother, announcing his engagement with Isabella is broken off. Isabella had encouraged the attentions of Captain Tilney, and James eventually had concerns about her constancy. Four weeks after her arrival at Northanger Abbey, whilst Henry is away from home, General Tilney returns suddenly from a brief trip to London to demand that she leave immediately the next morning. She is forced to leave at seven in the morning to travel post by herself, 80 miles in an eleven hour journey, without even the ability to send a letter ahead of her to inform her parents of her imminent arrival. Such highly irregular treatment must have a grievous cause, but she is unsure how she has offended the General. Mr Henry Tilney and Miss Catherine Morland, in the movie adaptation (2007). Henry Tilney arrives home to discover Catherine gone and finds that his father had been labouring under a misapprehension – given by Mr Thorpe in Bath – that the Morlands were quite rich, and had been told – by Mr Thorpe in London – that they were actually destitute. Mr Tilney, knowing them to be somewhere in between, advises his father that he is irrevocably attached to Miss Morland, and then travels to Fullerton. As any good hero would do, Henry proposes; and as any good heroine would do, Catherine accepts. The novel is very light-hearted, and often has a light satirical view of the nature of young girls newly out in society. My Penguin Classics edition describes it as “youthful and optimistic”, and for these reasons this novel feels remarkably different to Jane Austen’s other works. Instead of the author speaking to the reader directly through her characters, Jane often speaks aside comments to her readers without using the characters at all. She talks about the characters to the reader, which I found a bit hard to get used to. One of the progressions in the story is the education of Catherine as to the relationship between novels and real life. Catherine is put to shame for imagining that life is, in some way, like the storyline of a novel, and discovers that human nature and experience are not accurately represented in fiction. But what young female does not think that novels should represent life in its actuality? This point can be extended in the modern day to movies: The Notebook, Sleepless in Seattle, Pretty Woman, You’ve Got Mail, and the list goes on. Chick-flicks do to young women today what Jane Austen’s novels did in 1810! For me, the truth was revealed when I found out that the writer of such eloquent romances, Jane Herself, was never married! The shock! The horror! Surely one who could create such happy felicity in the bosoms of so many single women through the ages should have felt it herself in real life! It was then that it dawned on me that – maybe, just maybe – romance novels were really just fiction, created as fuel for the dreams of flighty schoolgirls. And these dreams that take flight on a girl’s advent into the world, die a quick death upon her marriage! I wonder if Jane realised she was doing herself out of a job? Surely by recommending that young women should not read novels, she is maligning her own subsistence. Her lengthy address to the readers at the end of Chapter 5 indicates that this is not her intention, but rather that novels should be enjoyed. “And what are you reading, Miss –?” “Oh! it is only a novel!” replies the young lady; while she lays down her book with affected indifference, or momentary shame. “It is only Cecilia, or Camilla, or Belinda”; or, in short, only some work in which the greatest powers of the mind are displayed, in which the most thorough knowledge of human nature, the happiest delineation of its varieties, the liveliest effusions of wit and humour are conveyed to the world in the best chosen language. Nevertheless, a good romantic novel is still my cup of tea! Are you a romance addict, or do you prefer action and suspense? I had thought that Northanger Abbey was a gothic romance, for some reason, so I had never been interested to read it! It was MUCH better than what I had thought, though not really the Austen writing that I am well familiar with and love! I think my least favourite Austen novel would be Mansfield Park… (but I should re-read it just to check!). I read Stephen King ONCE and got so frightened I couldn’t sleep! I do like Matthew Reilly though… he writes great action sequences! I took a class about Jane Austen in my last semester of college and we read The Castle of Otranto before reading Northanger Abbey so we would have an idea of what kind of novels Catherine reads. It was actually really good, in an absurd, sort of creepy way. But it was mostly just funny, I thought. I’ve never read Matthew Reilly. What books of his would you recommend? Matthew Reilly is an Australian author. He has written a recent series starting with “Seven Ancient Stones” and “Six Sacred Stones” and “Five Greatest Warriors”. There are more to come in this series so make sure that when you finish one, that you can rush out and buy the next one!! Amazing post as usual 🙂 . 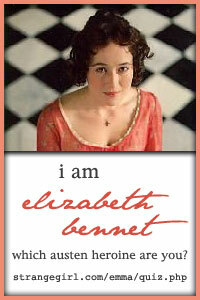 The only works by Austen that I have read are Pride and Prejudice and Sense and Sensibility , and I really enjoyed them. I have always meant to read more of her works. Once again you have inspired me! Having spent my teenage years reading Gothic fiction – Mary Shelley’s ‘Frankenstein’, Gaston Leroux’s ‘The Phantom of the Opera’, and Bram Stoker’s ‘Dracula’ and ‘The Jewel of Seven Stars’ – unsurprisingly ‘Northanger Abbey’ is my favourite Jane Austen novel. And that’s where my likeness to Catherine Morland ends; I am accomplished in the pencil and can speak well enough to be unintelligible. 🙂 I am so glad you enjoy the gothic novels! It does take a bit for me to understand why 18th century and Regency readers enjoyed them so much, as I have struggled to get into them sometimes. I love Northanger Abbey, and -like you- I found out about it last of all the Austen novels. It is a great tongue-in-cheek novel and I find it quite humorous and light-hearted to read.